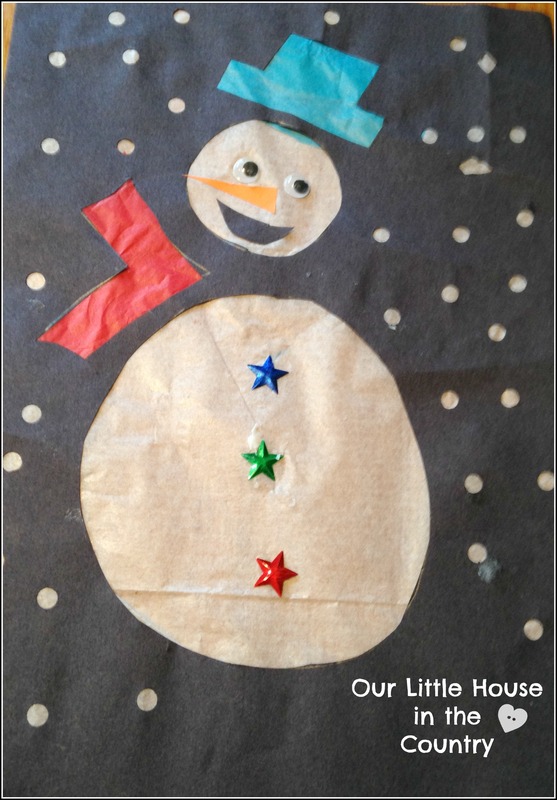 Looking for a Winter or Christmassy craft for children, then why not try out this snowman stained glass window activity. Cut out the design, I actually did this for my children (5 & 2), I usually insist on them doing the cutting but this part of the project can be a little tricky for little fingers. 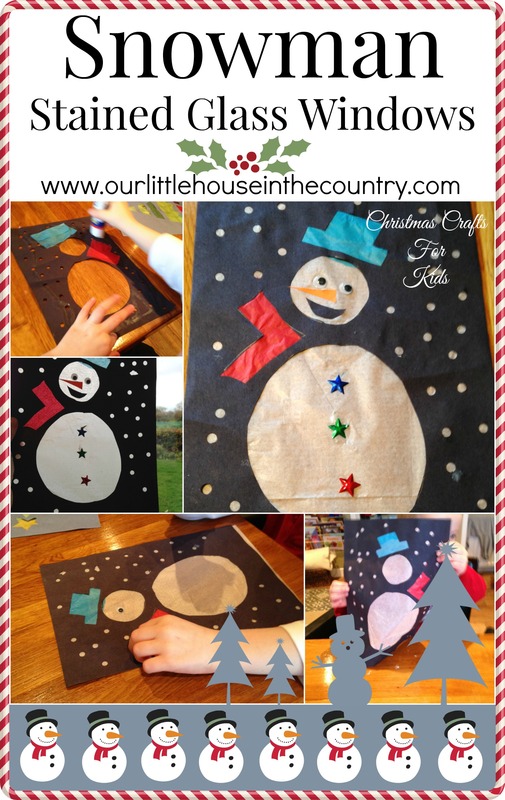 Punch lots of little holes all over the sheet for snowflake or use a snowflake punch. Cut or tear the tissue paper in smaller pieces. Stick the tissue paper onto the page. Flip the page over and glue on googly eyes, a nose and a mouth (scraps of coloured paper) and stars for buttons on the snowman’s body. Display the finished snowman on a window! For an alternative to a snowman why not try our Christmas tree version of this project. We have lots of seasonal ideas and activities. For more Christmas posts take a look at the Seasonal section of the site and scroll through all the Christmas fun. We are regularly adding new material so check back to see what’s new! Very Cute! I am always looking for great crafts to try with my boys (especially since I am NOT a crafty person!) and this one looks like one we could definitely do. I’m glad I saw your link at the G.R. linkup. Thank you Cheri! Have fun! This is really cute. It looks like it was a fun project. My daughter is too young for it, but I’m pinning for others.